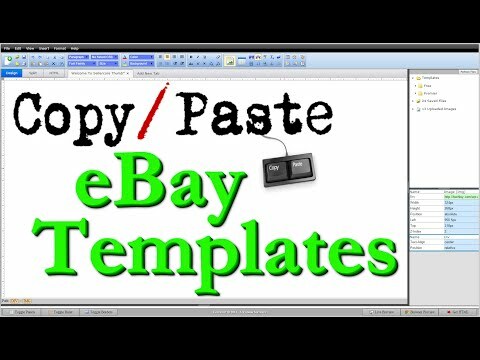 Below you will find videos to walk you through a few different and some advanced eBay template design techniques. It's a good idea to great and save your template layout first with default images and text and then simply swap out text and images to match each of your eBay items for sale. Remember to save your work as you go to easily correct unwanted mistakes. Also, as you create your template, save multiple designs incase you decide you want to backtrack with another creative idea. Feel free to contact us with any of your question or to request a specific how-to video, we'll do our best to help in any way we can. Our goal is to help you create a better eBay template. 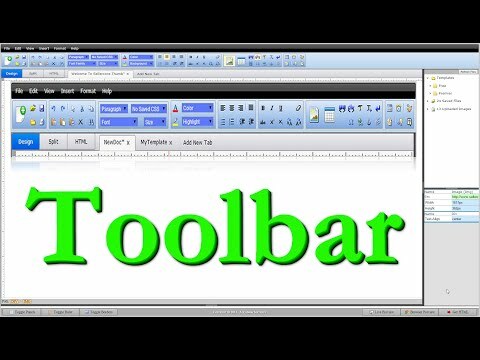 In this video you will learn how to design free eBay templates with the easy to use word processor style Sellercore toolbar. We walk you through step by step and discuss Sellercore toolbar features and how to use them to quickly create and edit your free Sellercore templates. Learn how to access recently used font size, colors, and backgrounds to edit the same theme across multiple item templates. 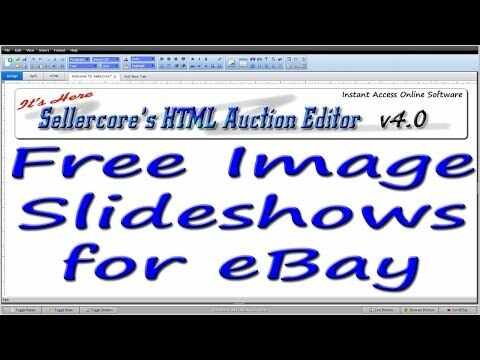 This video will show you step by step how to upload and host images to free eBay templates using the Sellercore editor. Create and manage image folders to better keep track of uploaded images. Easily resize large images for a better online and eBay user experience. Images uploaded to Sellercore are free to use anywhere online you need them using the Sellercore image URL provided. Creating a great looking custom template using Sellercore is not only easy but can be accomplished in the matter of a few minutes. Sellercore.com offers hundreds of free eBay HTML listing templates in tons of different categories and themes to help you quickly get the job done. 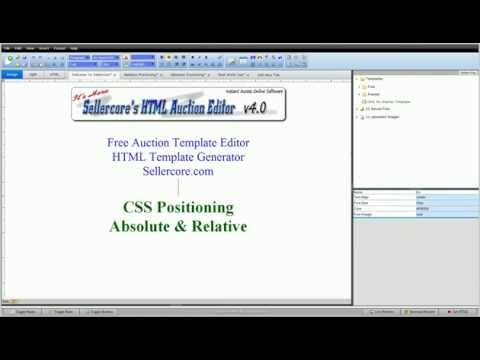 All Sellercore templates conveniently load directly into the free online Sellercore HTML auction editor ready for you to make easy custom changes to your template design. All the HTML is generated for you. 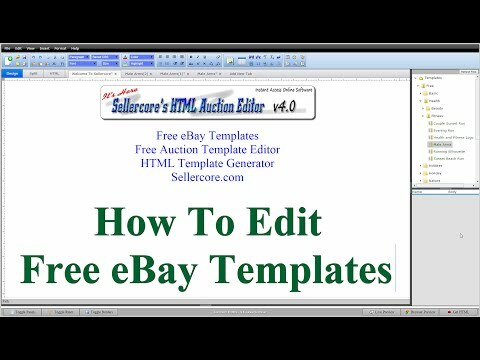 When you are happy with your template design, simply copy the Sellercore generated HTML and paste it into your eBay listing page as shown in this video and you are ready to sell. In this video you will learn how to copy free content you find on the internet and paste it directly into the Sellercore editor for editing. Simply select and highlight parts or all of a layout or style you find anywhere on the web and copy and paste it directly into the Sellercore editor. All the HTML will be generated for you, just change images and text to match your eBay item. This is a great feature that can be used to quickly create entire or parts of your eBay template. 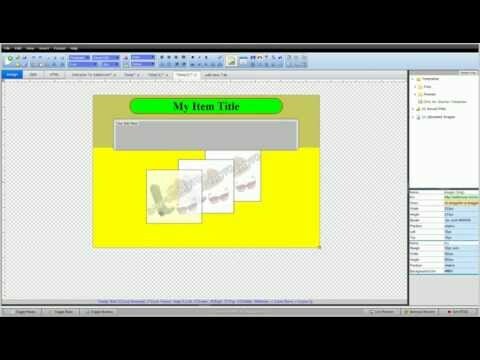 In this video you will learn how to start with a blank auction template and create a centered border frame for our template content. As the video explains, it is important to keep in mind the screen width of the possible user viewing your template and the max-width that eBay allows for templates before it forces an unwanted horizontal scroll. You will also learn how to style the frame and add a box shadow effect. 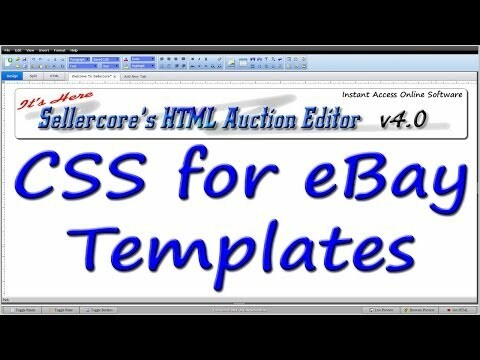 In this video you will learn how to add and customize a title or header bar for your auction template page. Learn how to add media elements inside of our framed template border. Learn how to size and adjust the header text and font effects to fit your design. We'll also walk through the basics on how to use the gradient color tool. In this video you will learn how to easily copy and reuse CSS on similar items in your eBay template design. This is a very fast and convenient way to style your CSS template. Design the look you like and simple save the CSS style and reuse it on any open template document without having to create the CSS from scratch twice. Also, learn how to remove saved styles you no longer need. 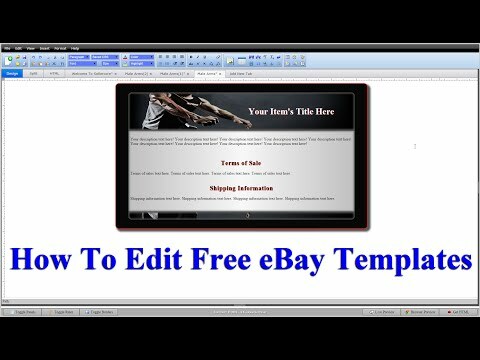 In this video you will learn how to design and structure your eBay template content. You will learn how to insert new lines between existing lines and a basic example of a possible table design. See the different HTML table design tools in action and best practices on how to use them. This video finalizes our four part quick template design. 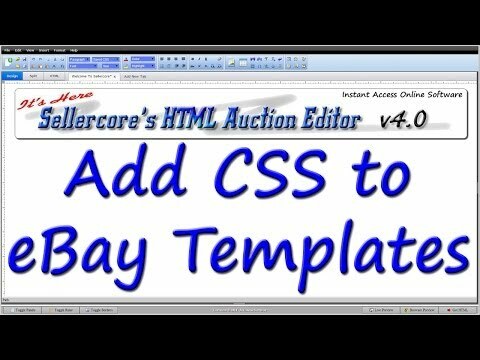 In this video you will learn how to take free templates you find on Sellercore or other online sources and custize the HTML to give the template your own design. Learn a few quick tricks to turn your listing template into it's own custom design. In this video you will learn how to take free templates you find on Sellercore or other online sources and custize the HTML to give the template your own design. Learn a few quick tricks to turn your listing template into it's own custom design. In part 2 we change a few text and shadow details and add a framed border. 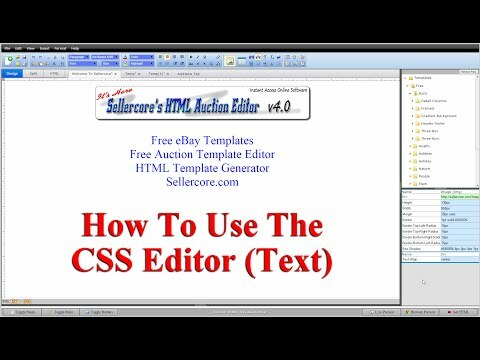 These video playlist will break down all the available features in the Sellercore CSS generating style editor. Learn step by step how to use the font, border, background, size, spacing, 3D transform, Google font, saved CSS, and other CSS editing features. 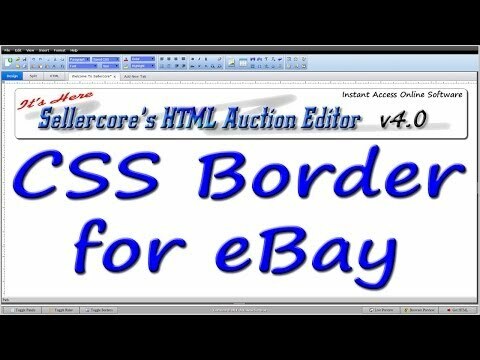 Editing and Transforming 3D CSS when designing your free ebay template listings is easy with the Sellercore CSS generating tool. 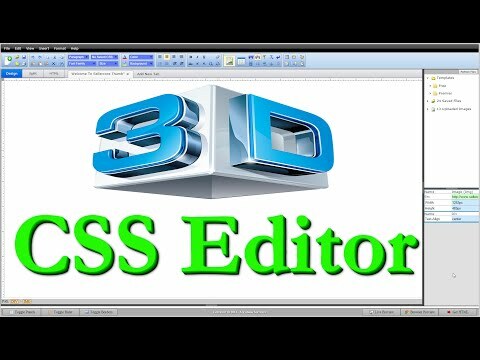 In this video we walk you through step by step and discuss all the available CSS editor and transform 3D generating features. Learn how to scale, skew, and rotate your template elements and add a 3D perspective. 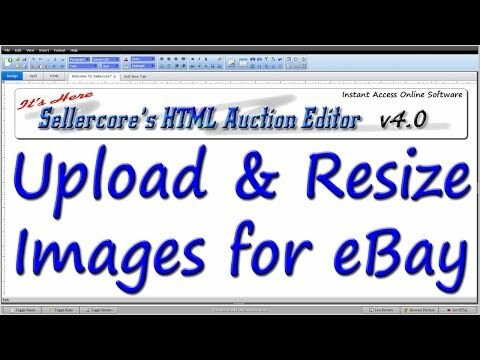 In this video you will learn how to easily upload your images and graphics directly into the Sellercore editor. Learn how to downsize images large images to make them load faster and better fit your eBay templates. 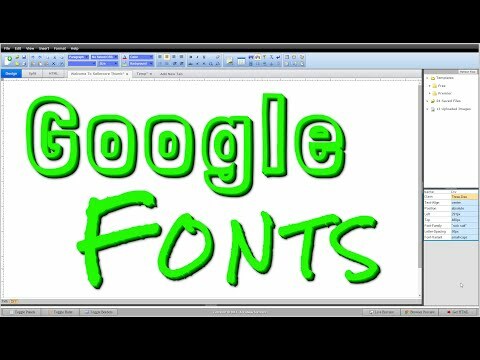 In this video you will learn how to link your template to the Google font library and open up a huge selection of available font style. The Sellercore editor makes linking your favorite font style easy for anybody to use and only takes seconds. Fonts are a great way to customize your listing to your item and stand apart from competition. 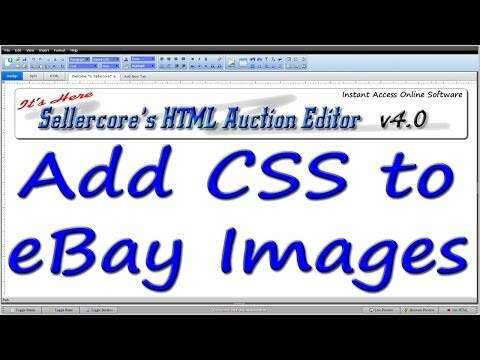 In this video you will learn how to add CSS style to images in your eBay template. Easily use CSS to add borders and other effects to your images so they stand out from the rest of your template content. 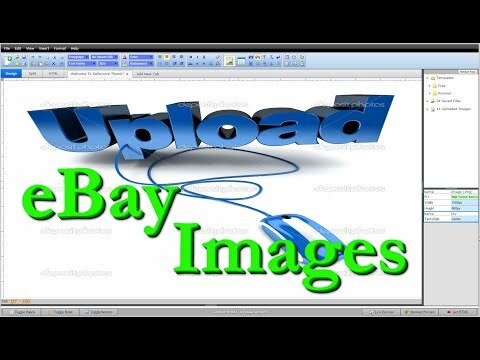 In this video you will learn how to create and organize your image slideshow. Use image slideshows to show several item images in the same space on your template, a great tool for template designs with limited space. Sellercore Full Users and customize slideshow controls and navigation. In this video you will learn how to create your own web pages for all your addition images and content. 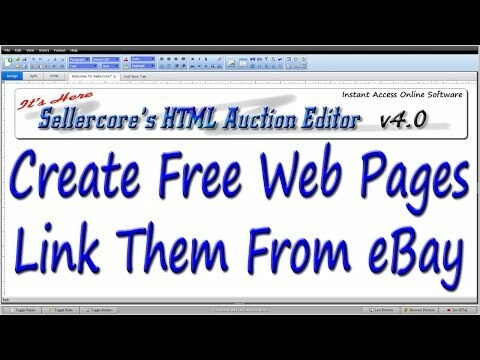 Learn how to link your web pages to your eBay templates and how to links your web pages to other web pages to offer your viewer and web site of information. 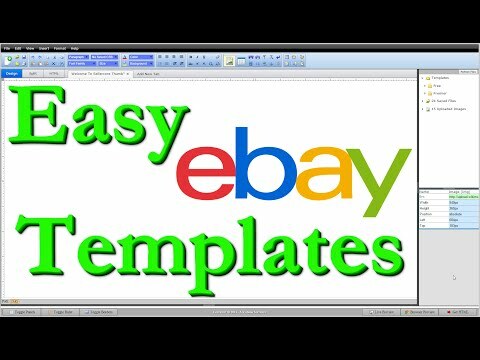 This video shows a different approach to designing your eBay templates. By using CSS positioning you can place your items exactly where you want them on your viewers screen. How to use CSS positioning in your auctions templates to move items where you want them. Understand the difference between absolute and relative positioning to give you the best template outcome. This video will better help you understand how to move iems in the editor. 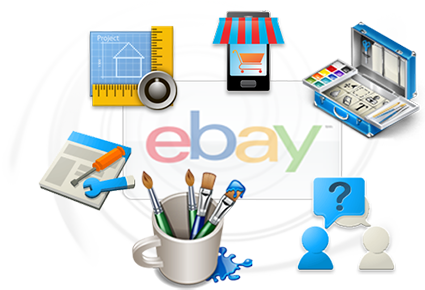 Also find eBay template design help and more on the Sellercore Blog.